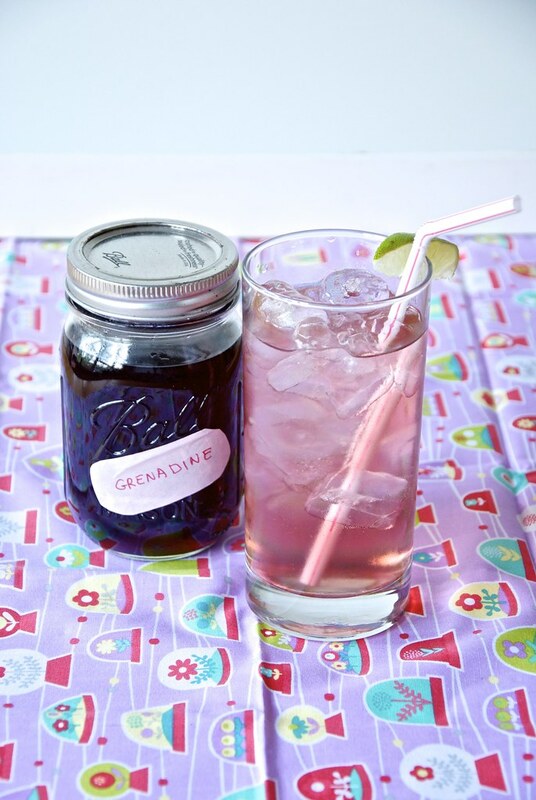 One of the most used syrups in the mixology world is the Grenadine. 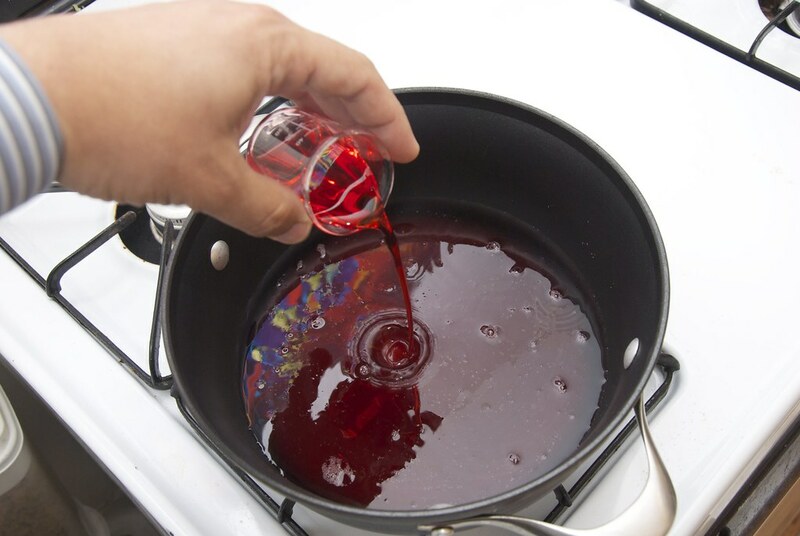 It is the syrup that is used one in a large number of cocktails like the Jack and Rose, Tequila Sunrise, Sea Breeze, Roy Rogers, Pink Lemonade and Shirley Temple. 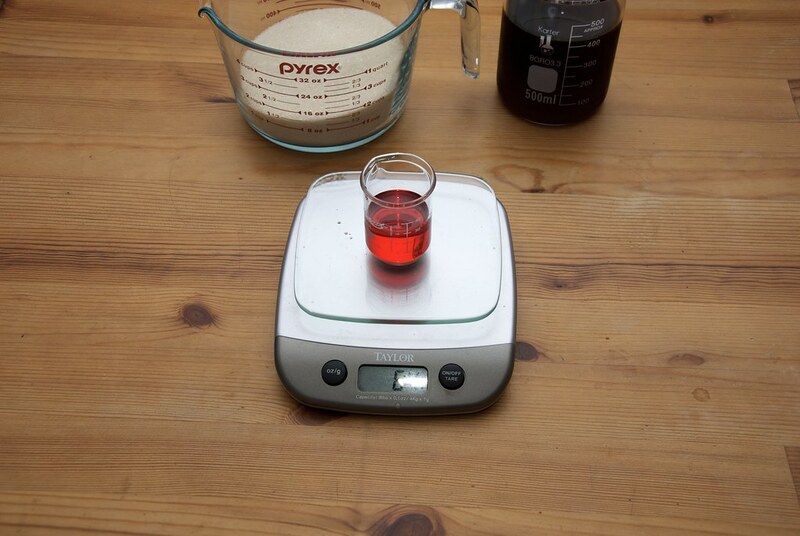 As the name denotes, it is a pomegranate flavor syrup, that is sweet and tart making it the best additive to balance cocktails, especially those made with hard alcohols like the tequila or brandy. 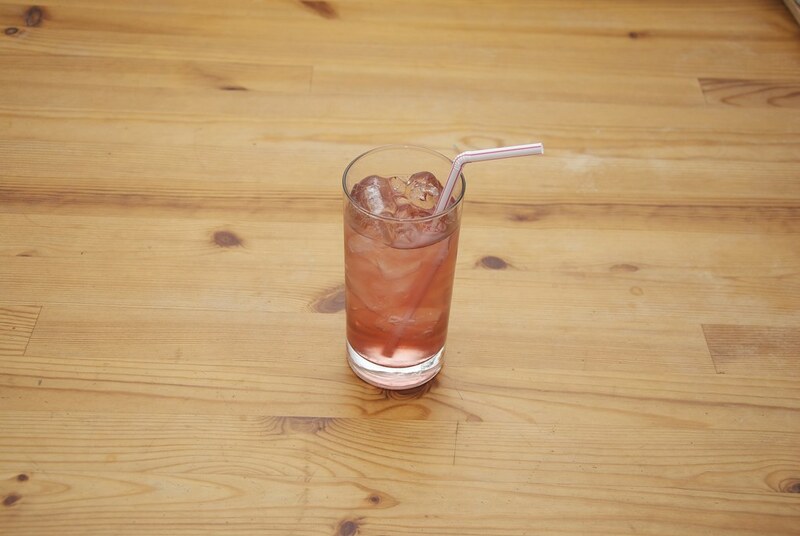 The Mott’s brand “Rose’s” is by far the most commonly used Grenadine in the United States. Actually, it is the reason that Jack Rose is named Jack.. Rose. Until sometimes in the 80s it was made with pomegranate. However, now it is a mixture of high fructose corn syrup, water, citric acid, sodium citrate, sodium benzoate, FD&C Red #40, natural and artificial flavors, and FD&C Blue #1. Yes, you read it right. There is no pomegranate in the recipe anywhere. It is glucose (or corn syrup if you prefer) and artificial colors. Not that I share the prejudice of many with the red dyes or artificially colors, but why something that is associated with the sweet and tart flavor of the pomegranate completely lacks it? Dear readers, mixologist, and food hobbyists it’s time to take the king of flavored syrups back. 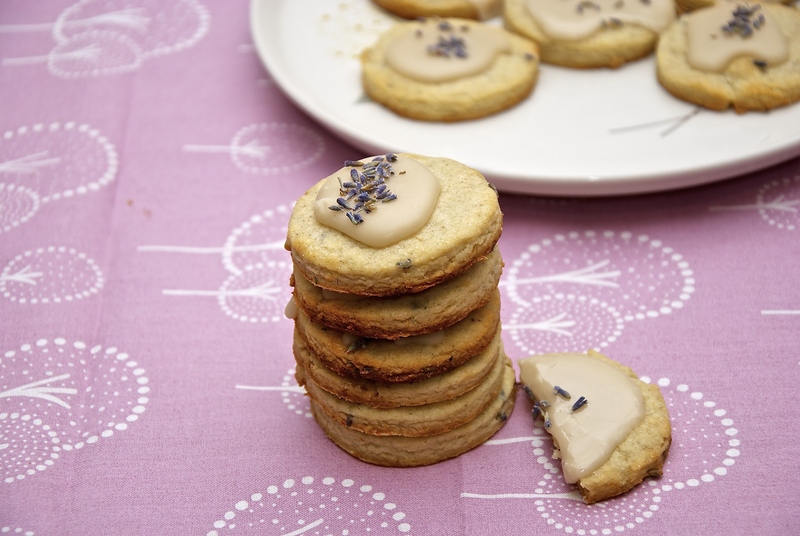 It is easy to make, has a thousand uses and darn it, it tastes good. As always, we will venture to the history and the origin of this elixir before we make it. 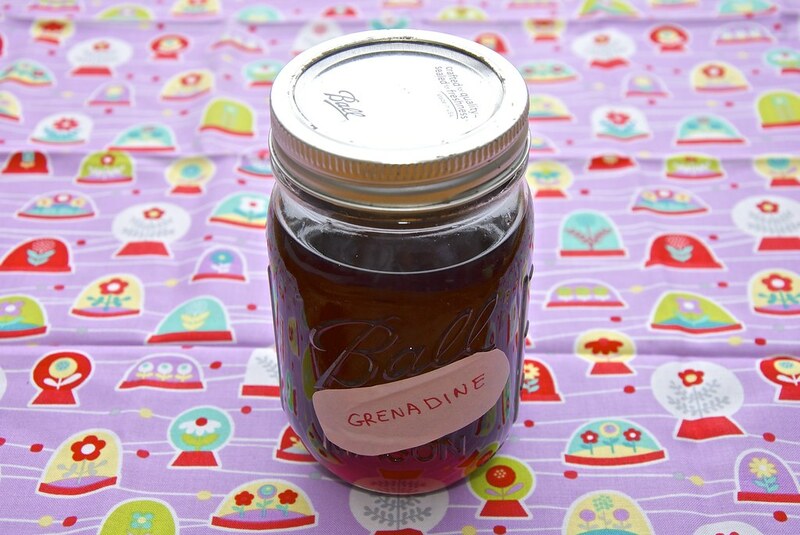 The name Grenadine originated from the French word grenade which means pomegranate, with pomme meaning apple and granate derived from the Italian word for seeds. 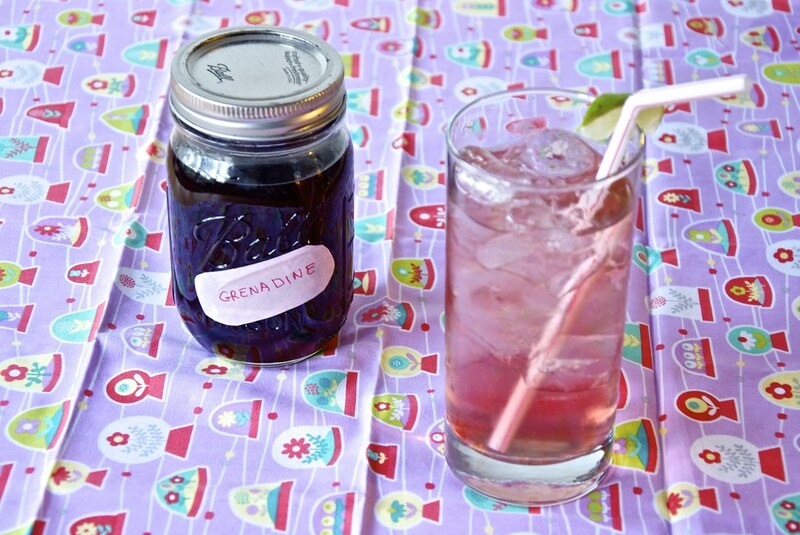 Grenadine was originally prepared from pomegranate juice, sugar, and water. 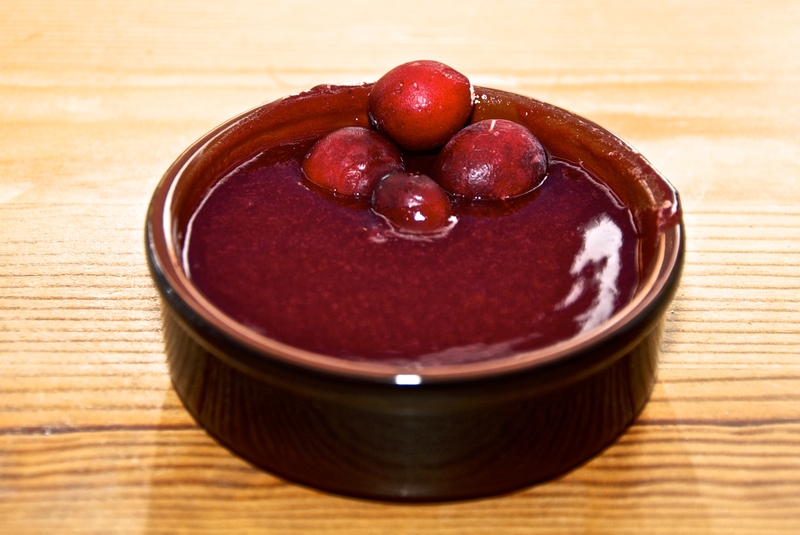 However, although made in France, Grenadine is subject to minimal regulation. 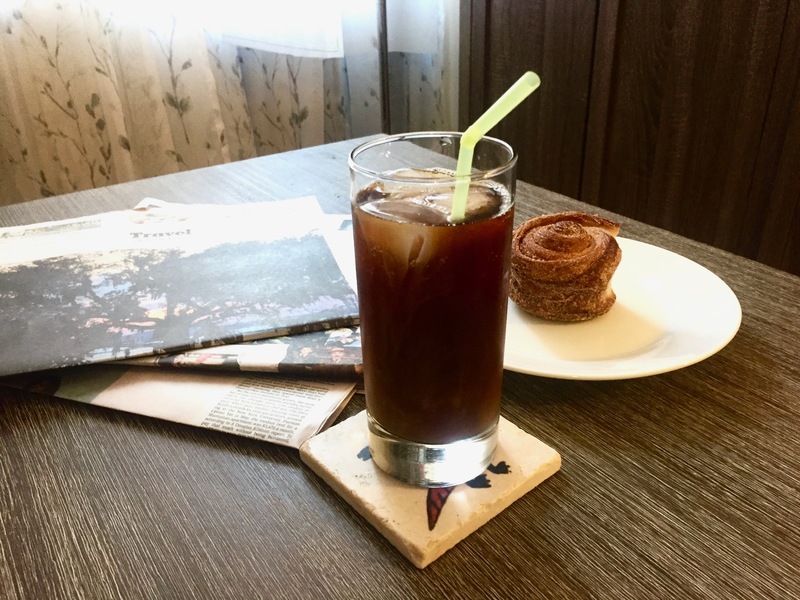 So its basic flavor profile can alternatively be obtained from a mixture of blackcurrant juice and other fruit juices with the blackcurrant flavor dominating. 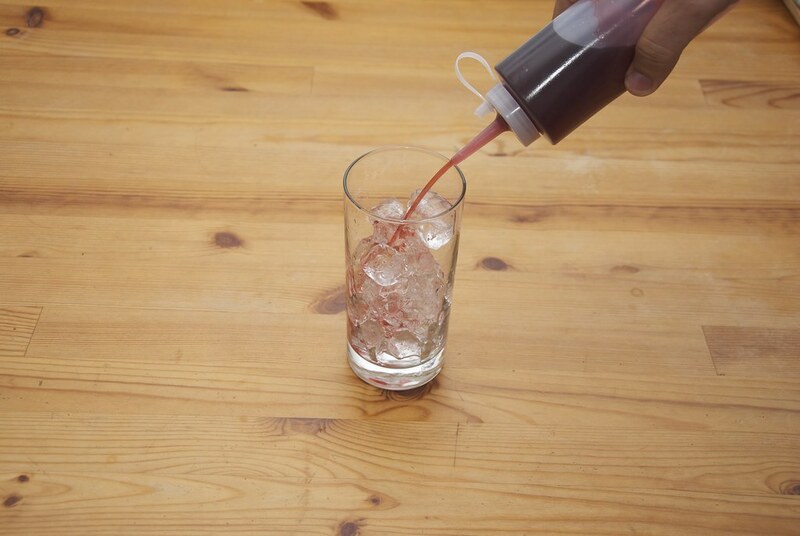 Grenadine is commonly used to mix both modern and classic cocktails, such as the Tequila Sunrise and the original (the 1920s) Sea Breeze. 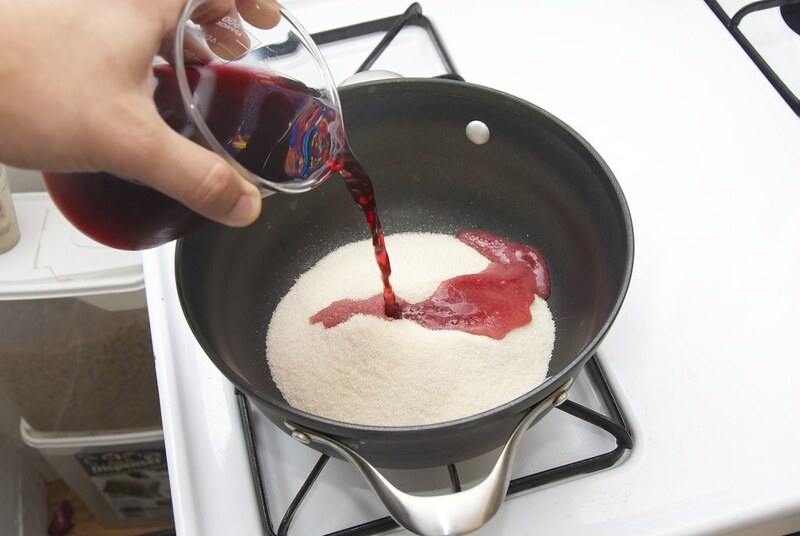 To make it we just need to make a syrup where we substitute the water with pomegranate juice. 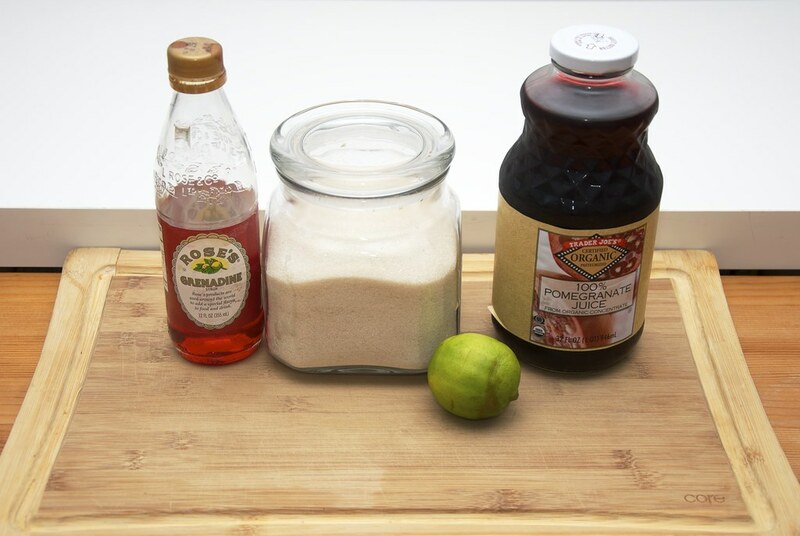 The juice can be freshly squeezed or store-bought. 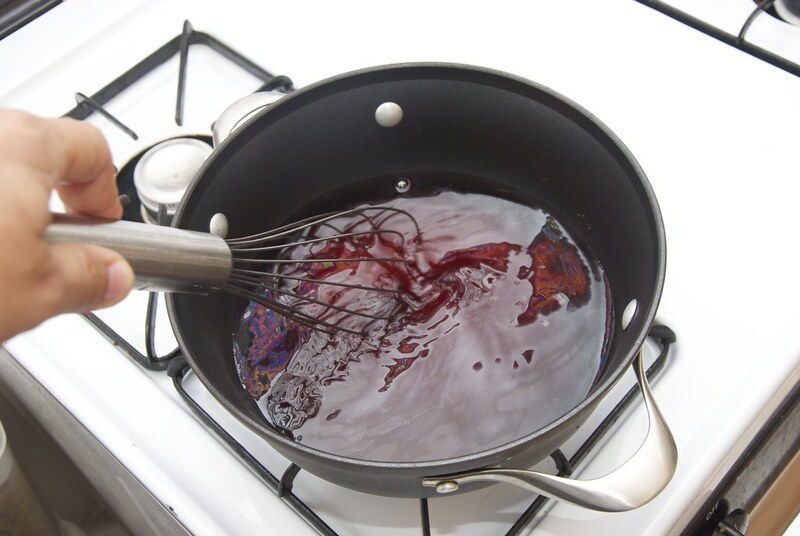 Since we will cook it for quite some time the origin of the juice does not really matter. It will lose the original quality so. But make sure it says 100% pomegranate juice. Not a blend with other fruit juices. These are already sweet enough and will make a very sweet Grenadine, and also the pomegranate flavor will not show as much. So we need 100% pomegranate juice. Make sure of that. Let’s get started. I know, after ditching the Rose’s Grenadine I am using it?! Well yes. I am not using the Grenadine as Grenadine, but as its basic ingredient that is corn syrup (or glucose). 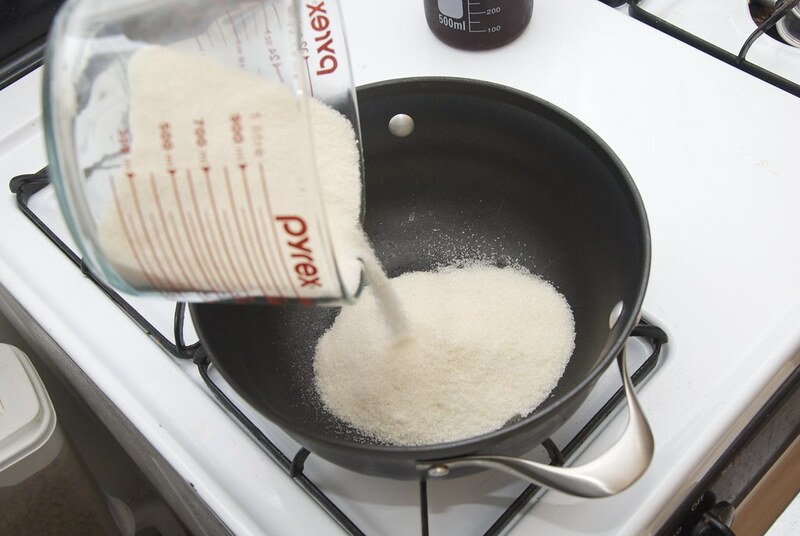 It is insurance policy to avoid the crystallization of the syrup. That’s all. 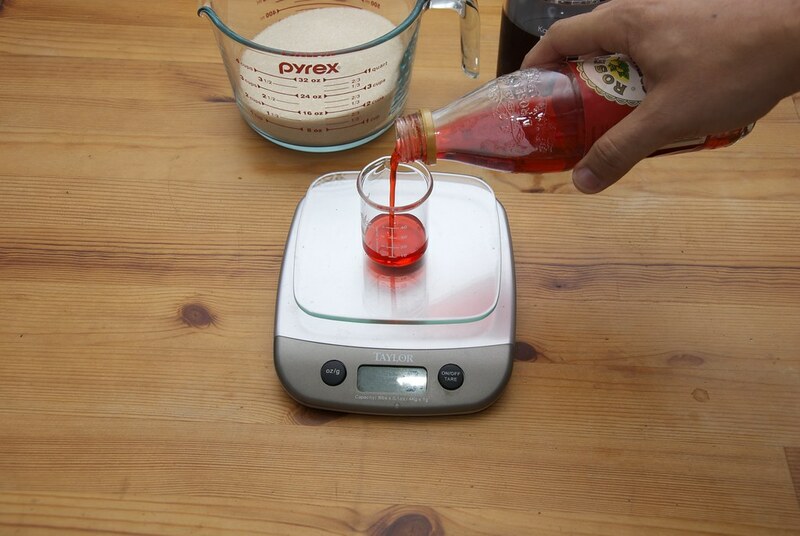 For each cup of sugar, we need 1 tbsp of Grenadine syrup. It is therefore optional, but good policy. 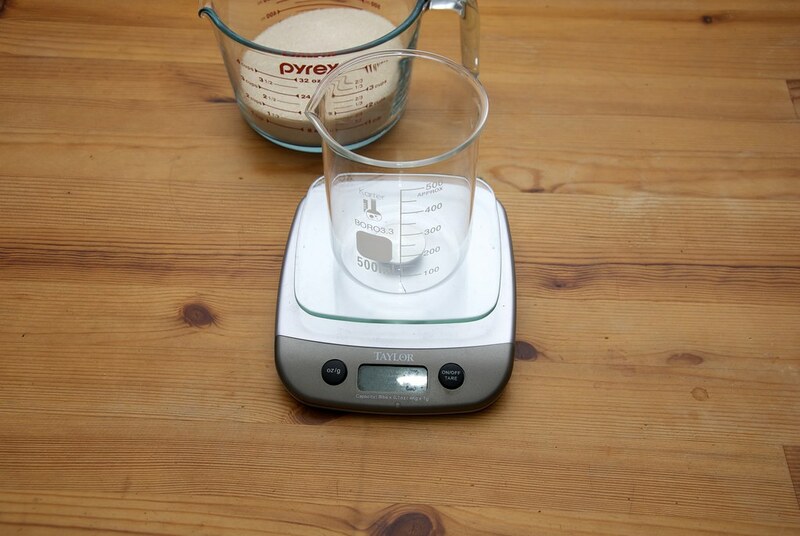 Add your measuring container and tare. 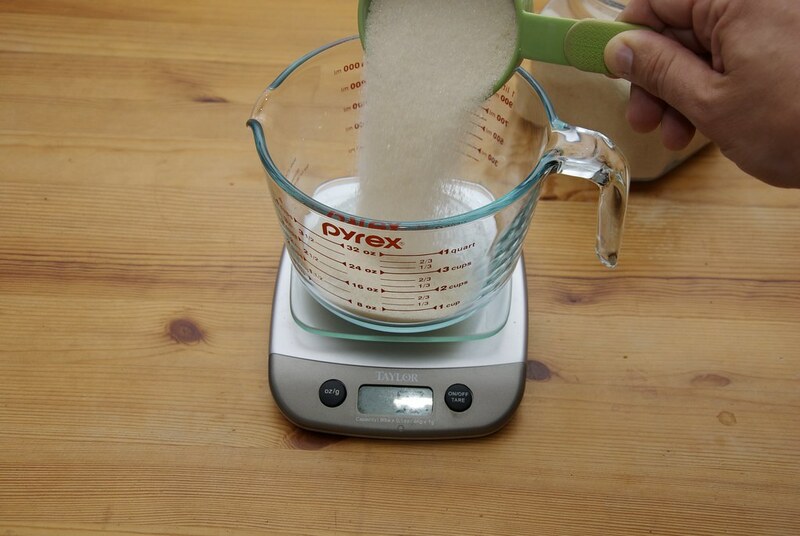 Add two cups of sugar and weight them. Repeat with another of beaker for the pomegranate. 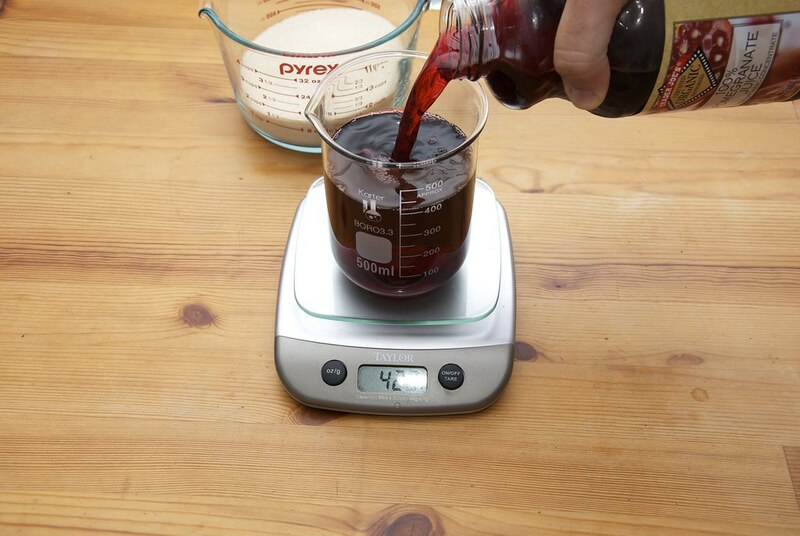 And finally, measure the 2 tbsp of the corn syrup that comes to 30 ml. This goes by volume of course. 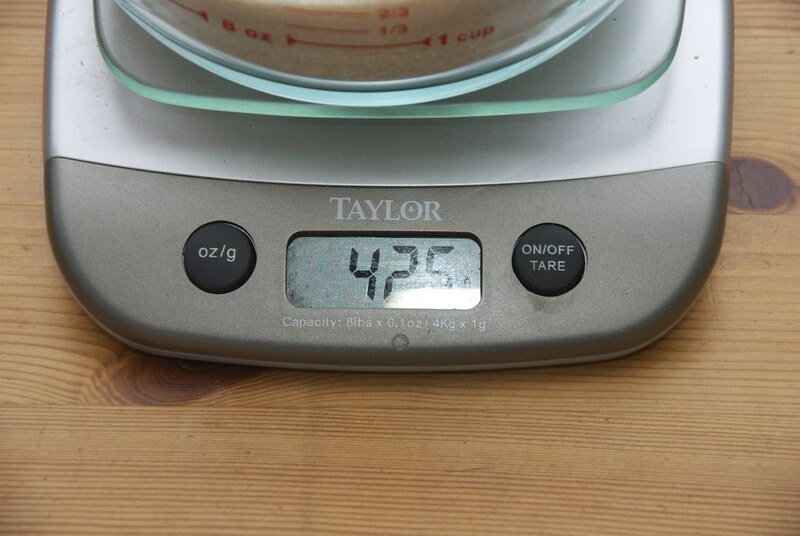 You can see that the volume is 30 ml but the weight is 64 g.
Add the sugar in a pot. Follow it with the pomegranate juice. 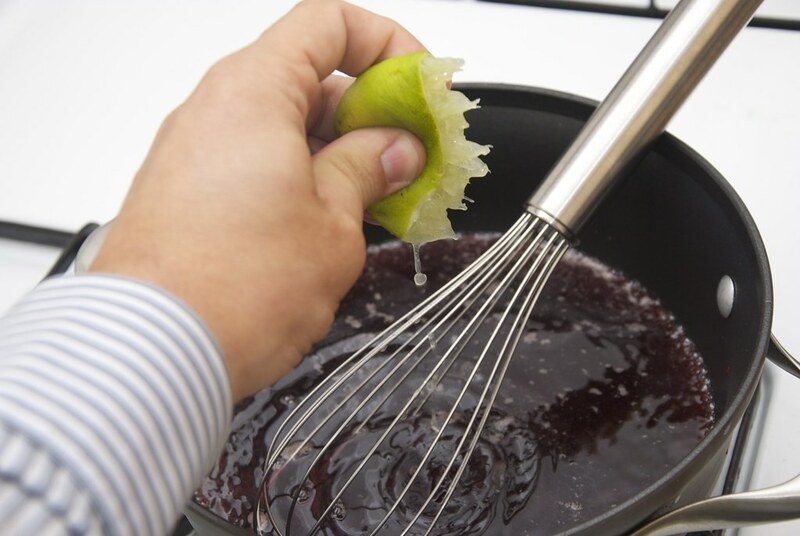 And add the lime juice. 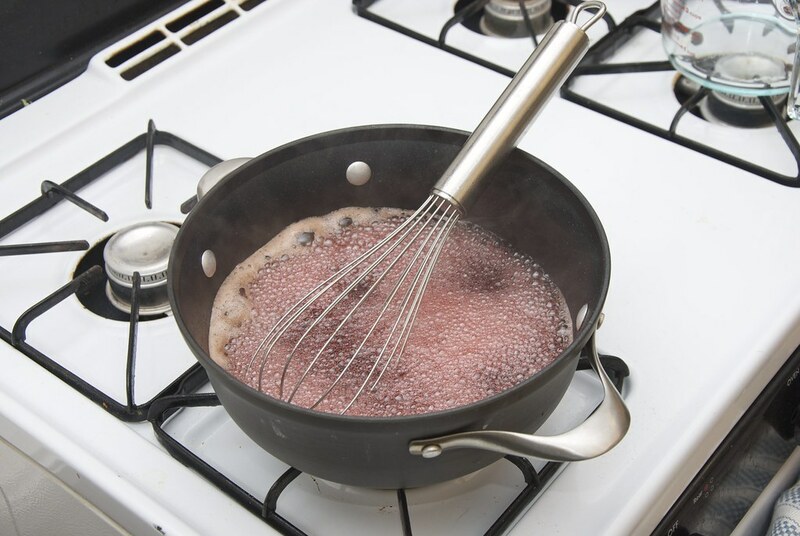 Although the juice itself is somewhat tart, the boiling damages portion of the flavor profile. The lime restores it. Set the stove top to medium low. And wait until it comes to boil. The heat management is very important here. 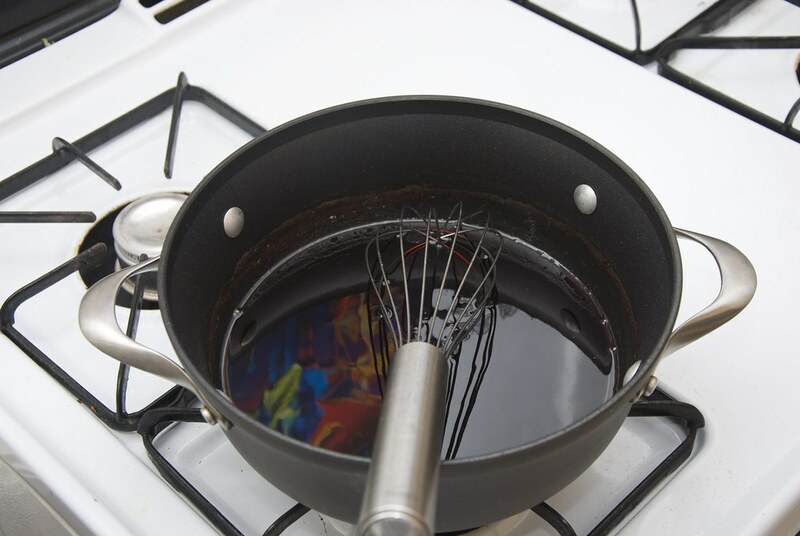 If we set the pot to high, the heat we will get the the job done quickly but we will damage the flavor of the syrup. Time is important here, almost like an ingredient. 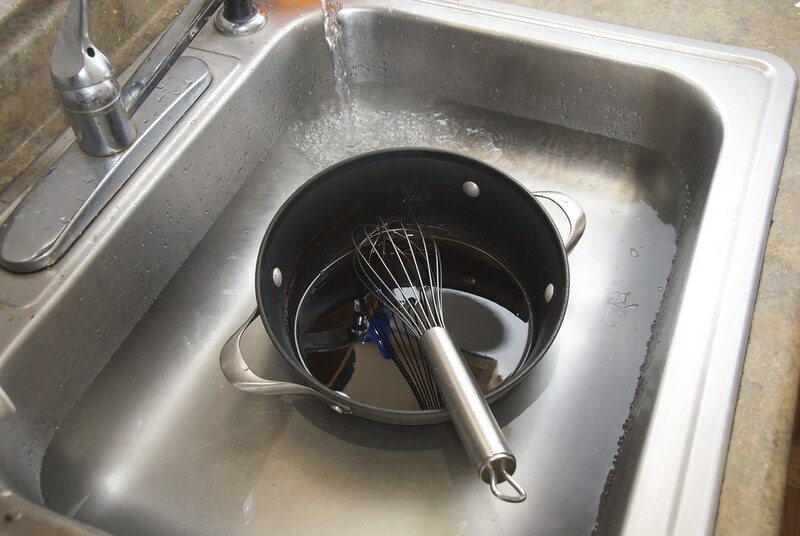 Boil it until the liquid is reduced by 25%. You can tell by looking at the lime left by the liquid. Here is a better shot. 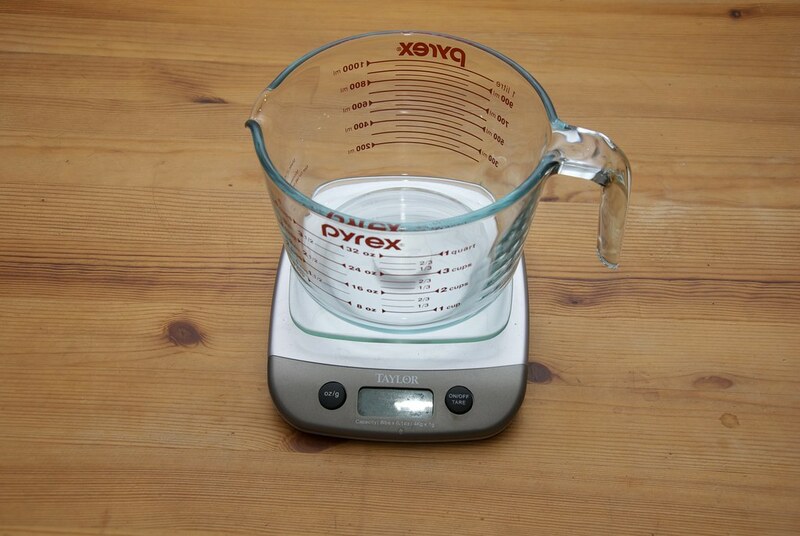 Of course this is not a precise measurement. Just deep a spoon in and if you are happy with the consistency turn the heat off or if you are not happy let it go for another 5 mins and repeat. 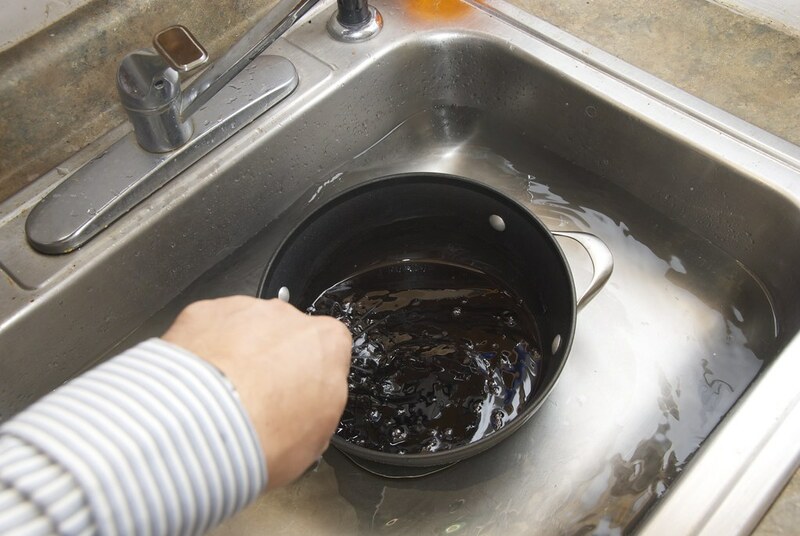 To cool it off, you can wait, or if that’s not an option just put it in the sink with plenty of cold water. 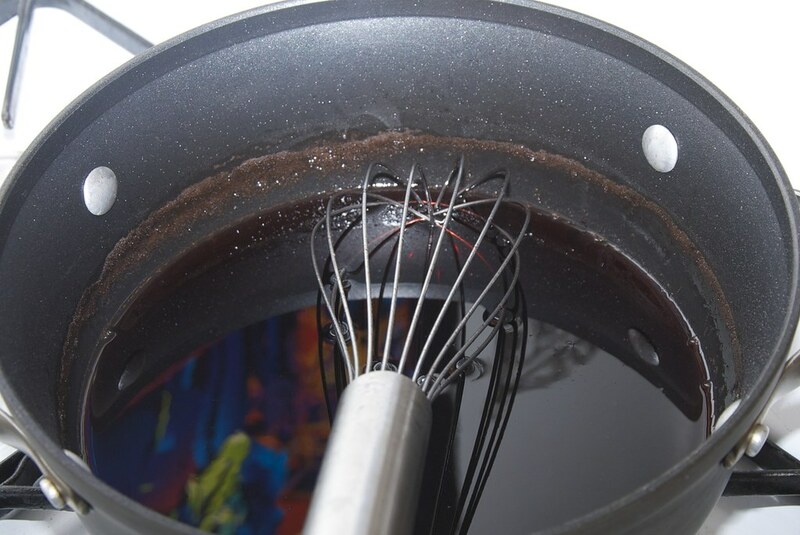 Stir it vigorously to cool it off. Careful though, not to splash any water in. 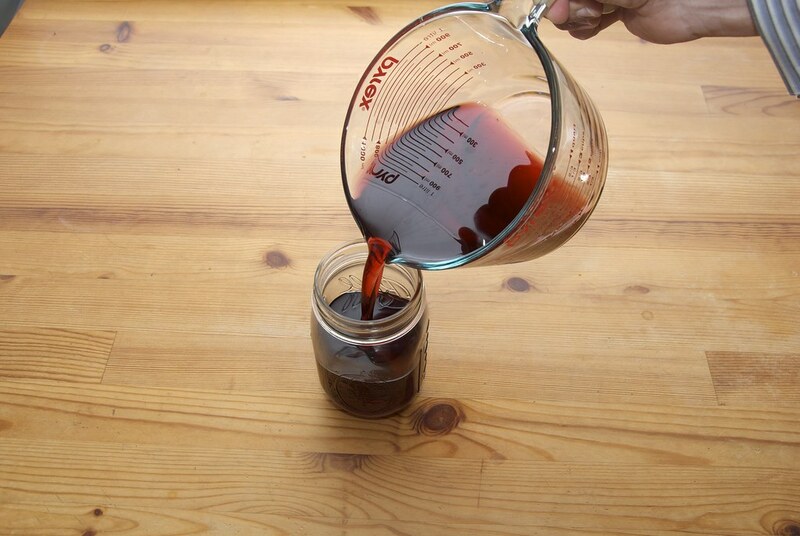 Once it is cool enough pour it in a container with a spout so you can easily transfer it to the final container. 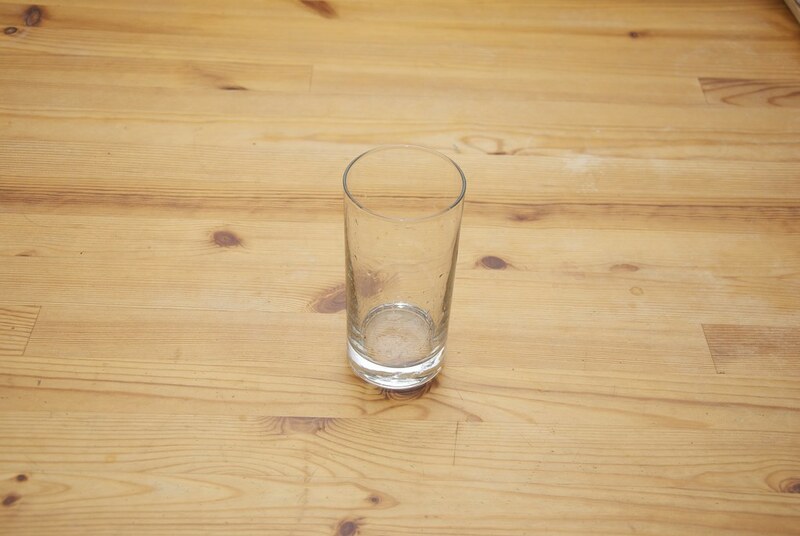 You can easily see the high viscosity of the liquid. You can see here that we started with a total of four cups, and we ended up a little shy of 3 cups. 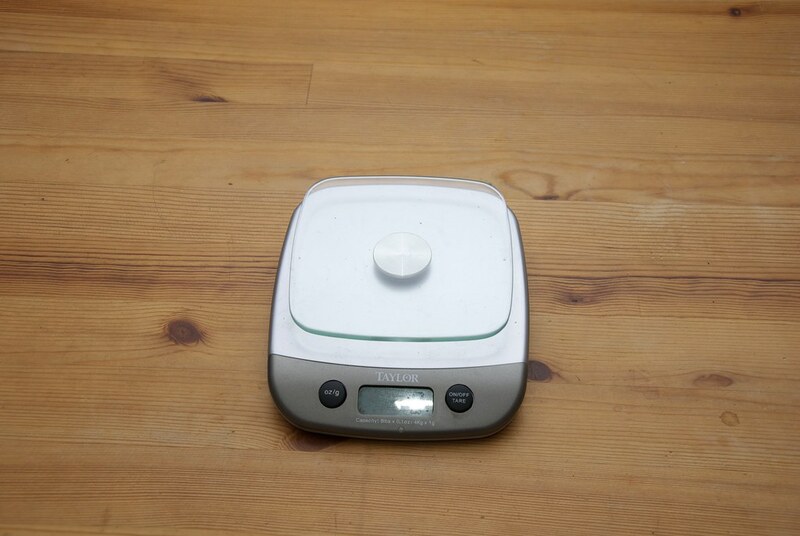 The weight also was reduced by 163 g representing a reduction by weight about 20%. 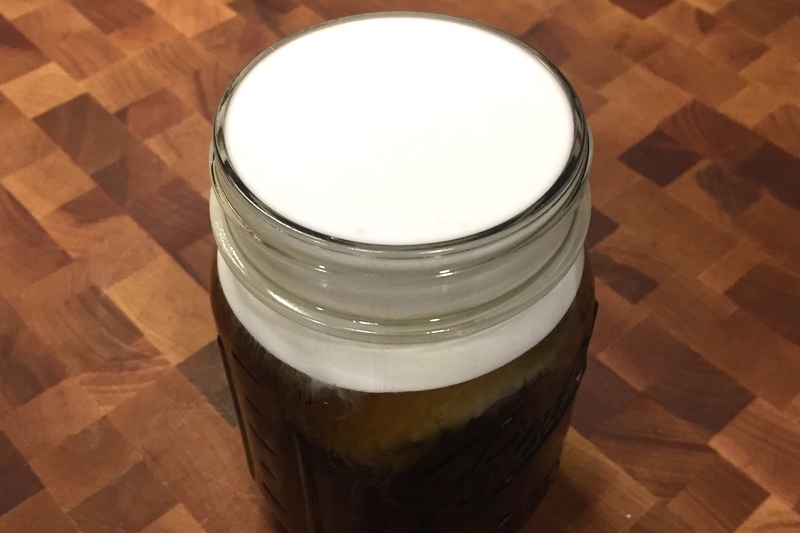 A mason jar is a great place to keep it. Label it and keep in the fridge! A great addition to cocktails, sodas and over ice cream. Even on steak! Ok not steak, unless it is a lamb chop. 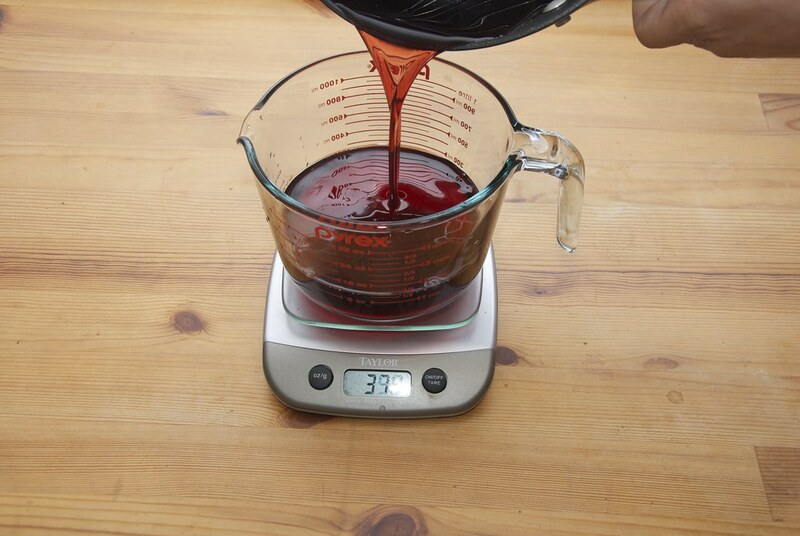 It is the perfect marinate base for lamb, rack, shank, chops and leg. 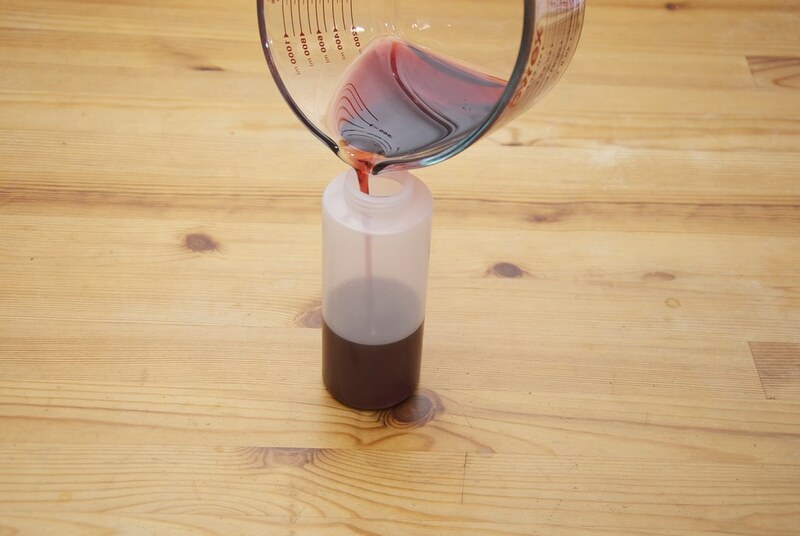 Add 2 tbsp of the grenadine. Top it off with some cold seltzer (home made is better). 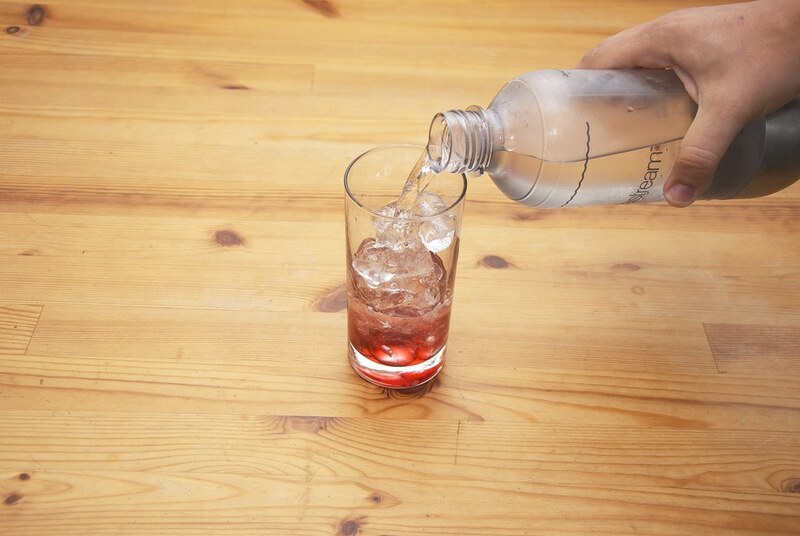 And enjoy a nice refreshing Italian soda with pomegranate flavor. 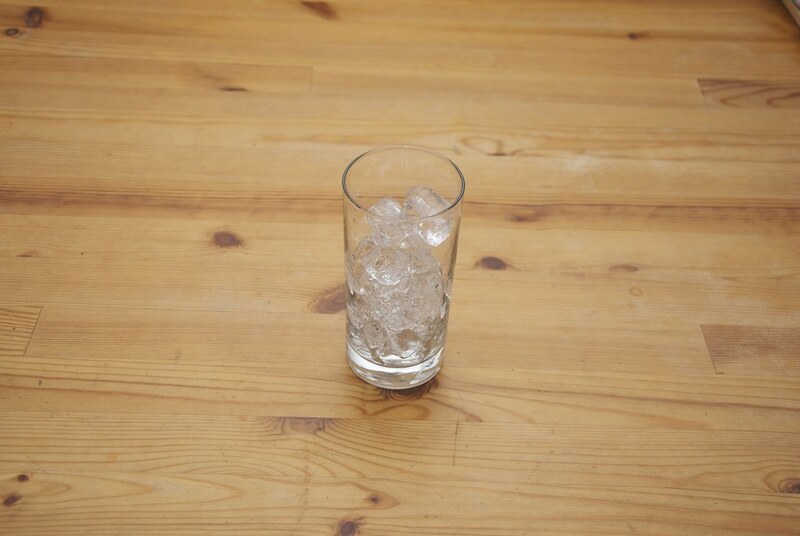 A tip from professionals is to add about 8-10% vodka as a preservative. But you know, most likely you will not need it. It will keep much longer than it will last. My favorite application in order of preference is Tequila Sunrise and Jack Rose George. 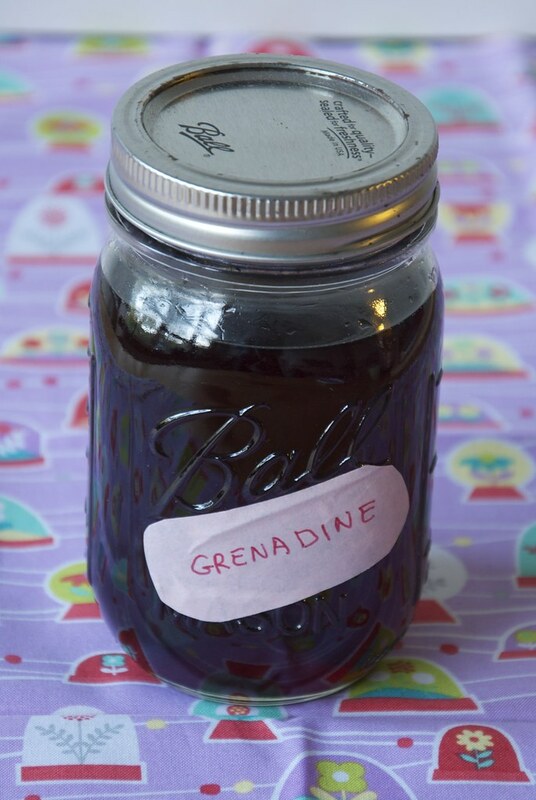 Grenadine is a classic syrup used in classic cocktails, like the Jack Rose, Tequila Sunrise, and Shirley Temple. Put all the ingredients in a pot and bring to a boil over medium heat. Cook until it is reduced by 20-25%. You can add 40ml of vodka to help the preservation. 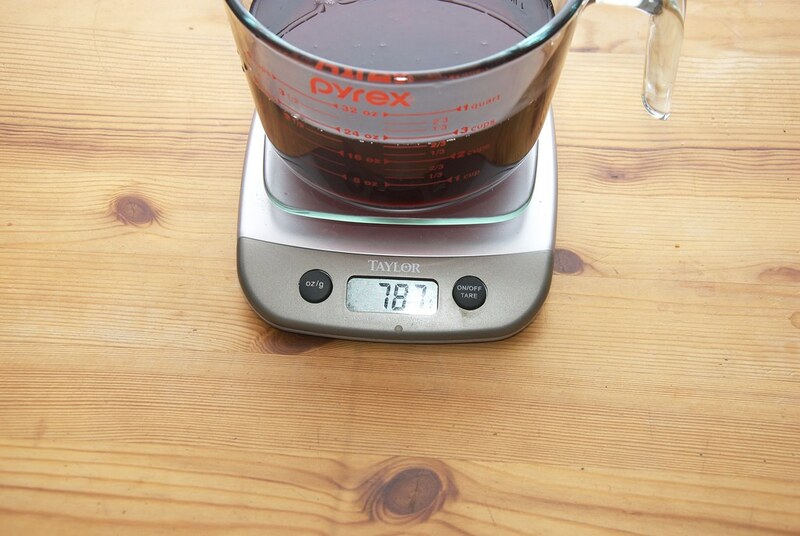 You can boil it until it is reduced to 1/3 and you will have pomegranate molasses, a delicious condiment for your cheese platters, meats (pork and lamb), and salad dressings.